Doug DeCota was born and raised in central Illinois. He relocated to southeastern Louisiana after high school and earned a degree in business administration from the University of New Orleans. Employed in the field of transportation logistics, he is a resident of suburban New Orleans with his wife of 30 years, Laura. Besides enjoying cooking authentic BBQ, and dining out at many of New Orleans’ over 1400 restaurants, Doug is an avid collector of kitchenware including vintage cast iron cookware and Pyrex. He maintains informational websites dedicated to each at www.castironcollector.com and www.pyrexcollector.com. Every month, we’re featuring a Pyrex-related website on Pyrex Potluck where anyone who loves Pyrex can find information, photos, and lots of great stories. 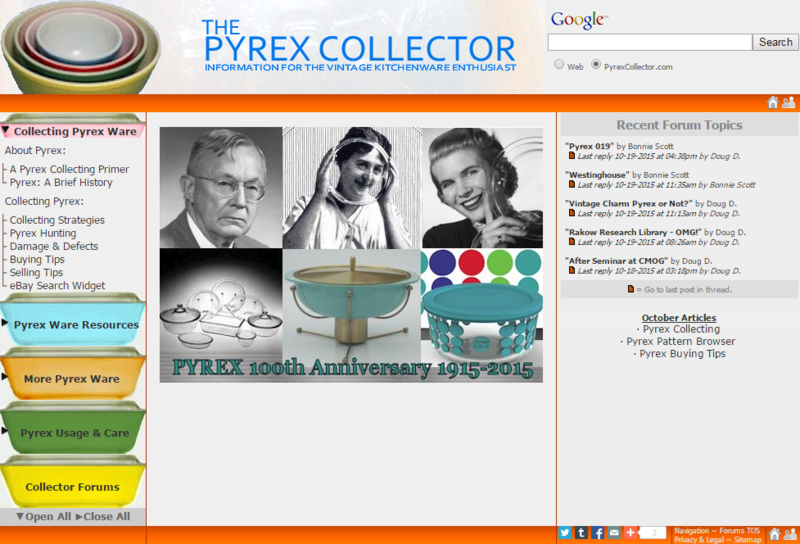 Here’s what you can find at The Pyrex Collector. What can visitors expect to find on your website? Information presented in a concise, straightforward manner to help shorten the learning curve of the novice Pyrex enthusiast. A recently added forum offers website visitors the opportunity for interactivity with the site and other collectors. What inspired you to start the site? Many Pyrex web resources are blog, Pinterest, or Instagram based. There didn’t appear to be a traditional format website at the time. Having built database driven websites before, the two interests were combined. Why did you start collecting Pyrex? As with most collectors, nostalgia probably. Grandma had the 400 set of bowls in pink. Mom had the primary mixing bowls, and the hostess casseroles in yellow. Upon the passing of a family friend and great cook, I recalled to her children my memory of her best comfort food casserole, always prepared and served in her 4 quart Pyrex yellow bowl. Three days later, a UPS box containing the bowl showed up on my front porch. At the recent Annual Seminar on Glass, Doug was joined by three other collectors, Allison Kapner, Megan McGrady (of Hot for Pyrex) and Dianne Williams (the “Pyrex Lady”) for the collector’s panel. If you missed the live-stream, we posted the video to our YouTube channel. Thanks Doug! 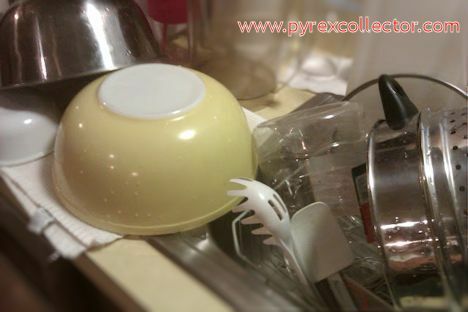 Be sure to check out The Pyrex Collector at http://www.pyrexcollector.com and join in on the discussions happening in the forum at http://www.pyrexcollector.com/forum. Megan McGrady is an avid collector and historian of all things vintage Pyrex. After receiving a set of Autumn Harvest casseroles as a gift from her mom, she caught the collecting bug and has never looked back. Her mission is to help document and share rare and hard to find vintage Pyrex with the community—pictures, documentation, as well as the stories of the people who created and collect it.